Civic Responsibility – These are the events BNP Paribas Portugal takes part in as part of our effort to combat exclusion and promote education, parts of our civic duty. Our civic engagement is also manifested in the corporate philanthropy work done by the BNP Paribas Foundation, whose charity initiatives include educational, cultural and public health projects. 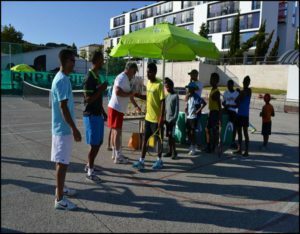 Academia dos Champs mission is to use tennis as a tool for social integration, enabling children to shape their future. Founded in 2009, ADC currently has 5 different tennis centres in vulnerable areas. These centres integrate 150 children, aged between 6 and 18 years old and follow students’ technical, psychological and academic progress – creating Champions for life! By allowing children and young adults access to practise sport regularly, ADC is developing tools that foster in them a sense of direction and purpose in life. They are given the means to pursue their professional ambitions and dreams, which with both talent and sacrifice can become a reality. ADC is opening up paths by which each child or adolescent can find better, healthier, more challenging, and more importantly, happier ways to live their lives. BNP Paribas has a long standing involvement in the sport of tennis, having sponsored such prestigious events as Roland Garros and the Davis Cup. Involvement with ADC is a more grass roots approach to tennis, becoming involved in the game closer to home. Employees and their families have participated in lessons with ADC, playing amongst themselves and with those who play tennis with the organisation regularly. ELO Social is an organisation which supports people with disabilities. Those who are unable to work in a professional environment are provided stimulating and useful activities to take part in at various centres around Lisbon. Aided by dedicated professionals, the participants in the programme are guided through these activities. The range of tasks on offer is wide, from carpentry to gardening, from upholstery to dry cleaning. Such activities are undertaken to broaden the horizons of the participants and to offer them an insight to working life. 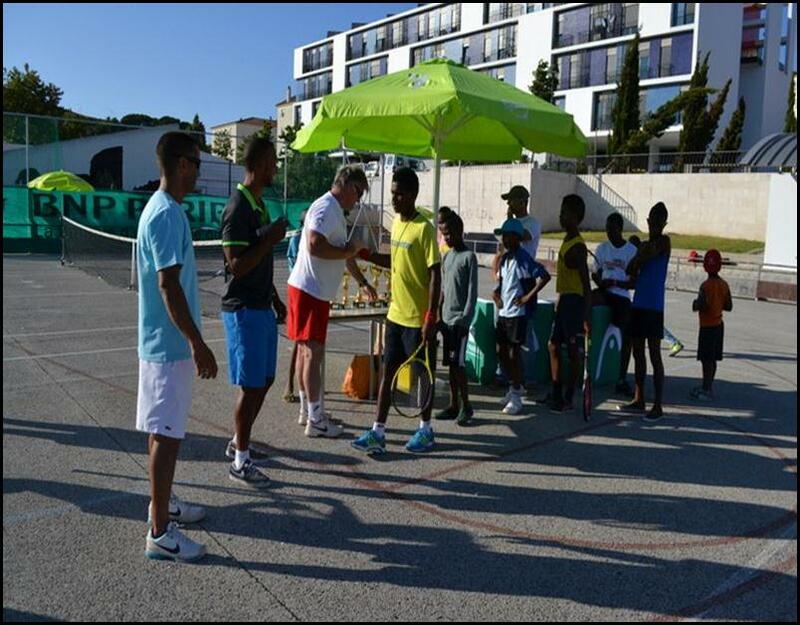 BNP Paribas supports this programme through participation in the Spring Games, hosted by ELO. 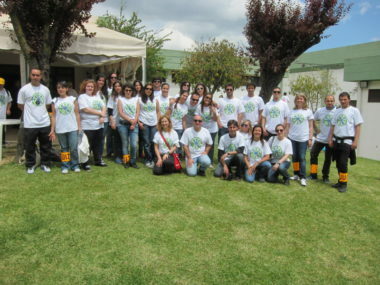 For 3 consecutive years, employees from BNP Paribas showed their appreciation for the project by attending this festival. The festival itself is a celebration of ELO and the work that they do for the disabled community, and this year took place on May 8th. 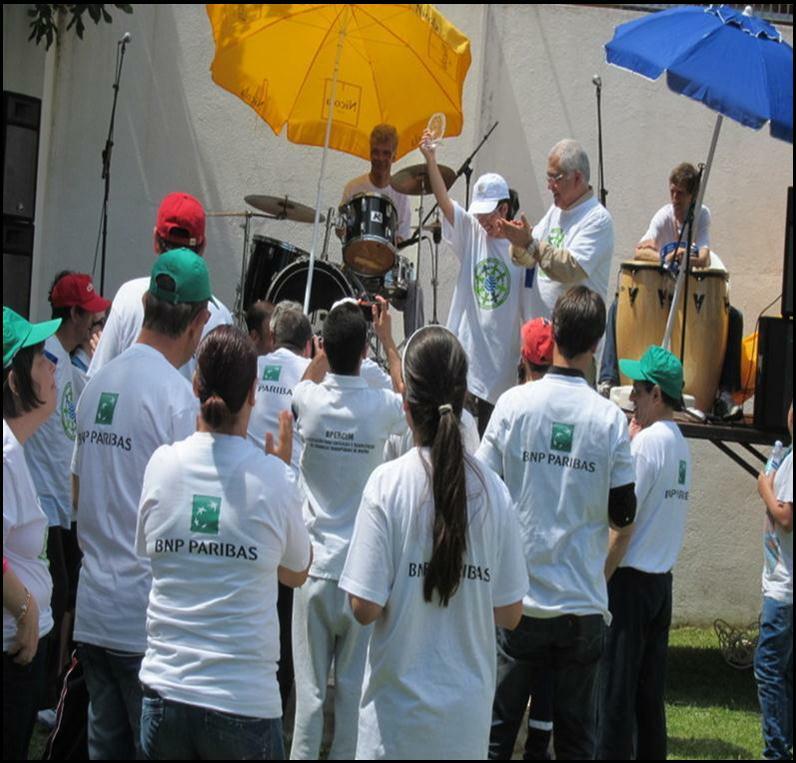 BNP Paribas employees take part in activities against other organisations, before medals are awarded at the end of the session.